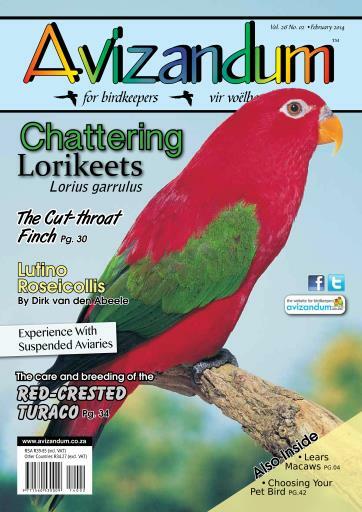 As you will see by our beautiful cover image by Cyril Laubscher, our feature article is on the Chattering Lorikeet. And who better to write the article than Gerda Coetzee? 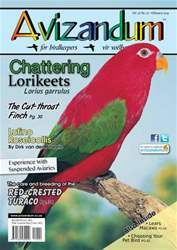 She shares with us her many years of experience when it comes to keeping and breeding these lorikeets.